The Santo Tirso International Museum of Contemporary Sculpture opens its new head office by setting up “casa comprida com árvore dentro, casa comprida com luz e outras construções” [long house with tree inside, long house with light and other constructions], the first in a series of initiatives intended to establish new relationships between different art forms and contemporary life. Conceived and matured from the start as a site-specific intervention for the building designed by architects Álvaro Siza Vieira and Eduardo Souto de Moura, this exhibition shows clear formal correspondence to that space. The artist has thus transformed the exhibition room into a stage for his particular notion of drawing, highlighting the building’s layout in the process. 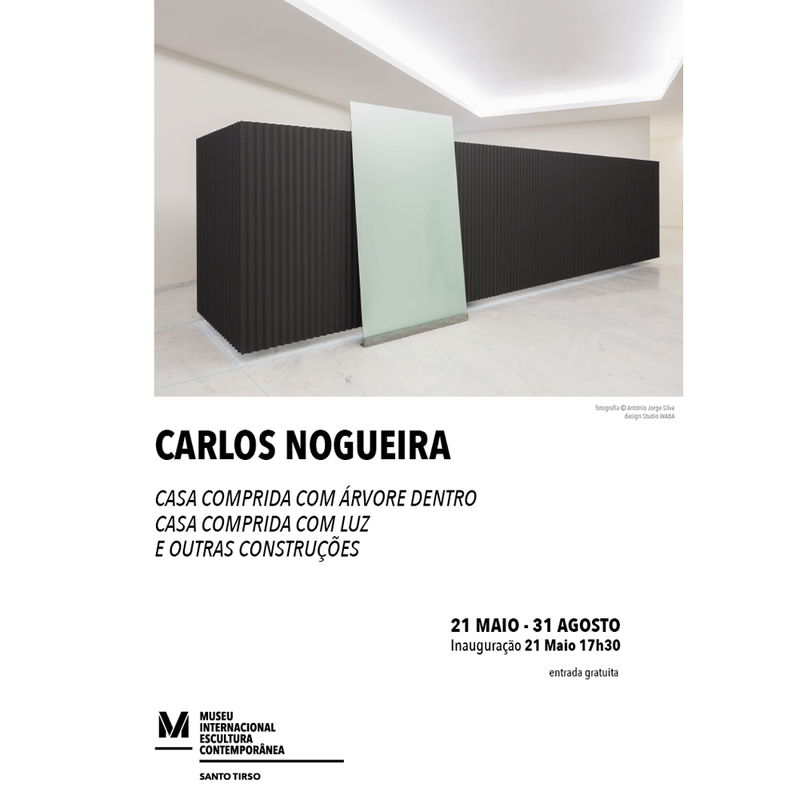 casa comprida com árvores dentro | casa comprida com luz shows Carlos Nogueira’s most recent inquiry into the interplay of space, the home, the elements and the human condition. He has reformulated timeless universal motifs, giving us a glimpse of the intellectual substance informing his artistic production. […] My work revolves around issues of a tectonic and poetic nature, in which notions such as permanence, the ephemeral and the sacred appear as ever-present loci. I am interested in light, the geometry of time, the irreversibility of thought. I work on the metrics and the elemental characteristics of an existing shape, whether natural or constructed, from a thread of water to a crumbling wall, or even the wind itself, and all the space containing them. As mediator I recast and shed light upon an angle falling into place, a hill stretching away, the cityscape.